This is a blog post I wrote for Longaberger‘s new blog. I wanted to share with home consultants how they can use Longaberger products to easily organize their lives. “Where did I put my [blank]?” Staying organized is important not only because it makes your home look nice, but also because it can reduce stress – so don’t waste another minute searching for anything. 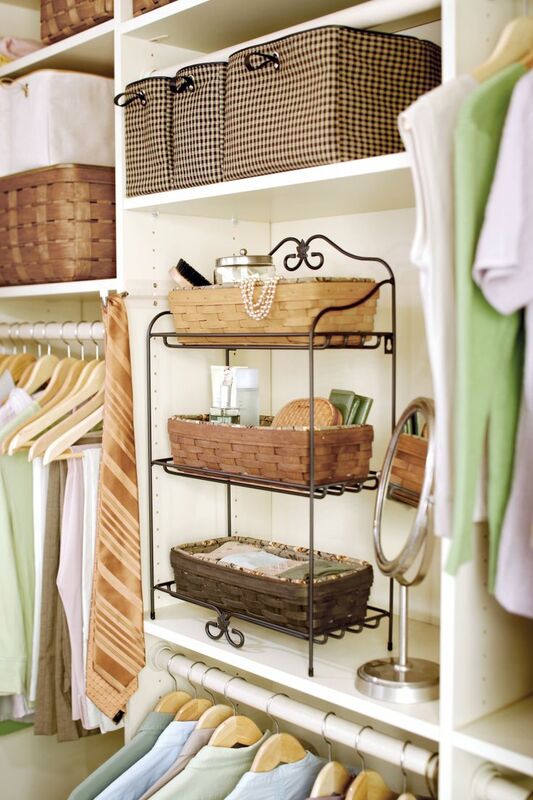 Try cleaning up your home with baskets – they make great organizers and are über portable. 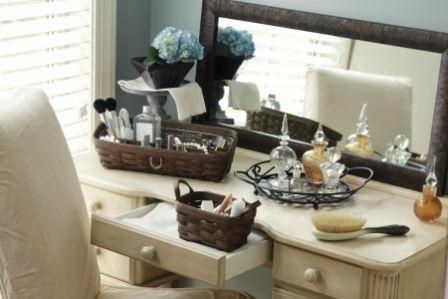 Treat yourself to an organized and clutter-free life with these easy tips. Keep utensil drawers tidy by using different size basket protectors. Clean out your refrigerator and freezer by taking everything out. Take inventory of what you have. Wipe off the shelves inside. Move food back in, taking care to group similar foods together. Stack smaller ceramic bowls inside larger bowls or containers. Only give appliances you use daily a prized spot on your kitchen counter. Other appliances can be kept behind cabinet doors. Middle shelf: oils in small baskets, vinegars, flours, sugars, and other dry goods. Lower shelf: canned goods, food in jars, and bottles. Sort them in ceramic pans or bowls. Floor: heavy items such as canned or bottled beverages and baskets of vegetables like potatoes. Use a sticky note to remind yourself when papers can be tossed or shredded, so you don’t end up keeping them indefinitely. Otherwise old papers will swallow your desk. Sort your papers in baskets by level of importance, timeliness or date. This is your opportunity to go crazy with the label maker. Go vertical. Baskets stack easily and can hold a lot of papers and files. 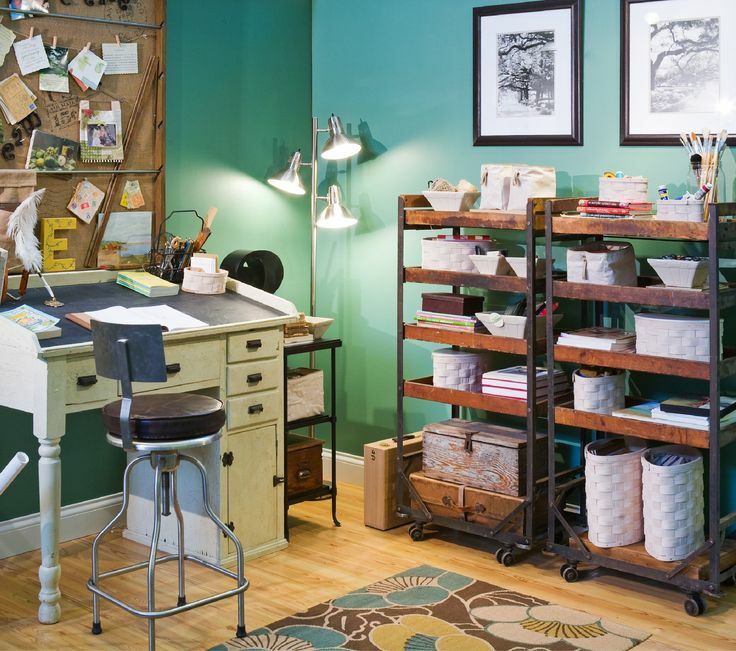 You can also use shelves, wall-mounts, or hooks to maximize your office space. Use binder clips to keep the power cords around your desk untangled and out of the way. Attach the clips to the side of the desk and insert the end of each cord in the silver looping structure. Then sit back and watch your coworkers marvel at your genius. When traveling, pack your earrings in a pill case to keep them from getting lost. You can also pin them on an old tie or corkboard. No longer will you return home with just one earring! Before packing, lay clothes out on your bed to visualize your outfits for each day. This ensures you bring only the clothes you’ll actually wear. Thread delicate necklace chains through straws to keep them tangle free. Too many times I’ve returned home with a ball of tightly tangled necklaces. Skip the headache. For a road trip, keep snacks, games, maps, CDs, books and drinks in a big handy basket. Bored children = unhappy children. Assign each member of the family their own basket so they have a place to put everything needed to get out the door in the morning, such as textbooks, hats, scarves, purses, sunglasses, etc. It’ll help them get out the door faster. Place small items like eyeliner pencils or makeup brushes in a ceramic mug. 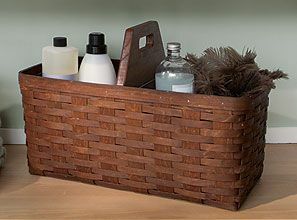 Corral extra bathroom supplies into baskets. You can store them under the sink if you want it out of sight, or you can stack them in the corner. Hang a basket on the wall and put extra towels or toilet paper inside. This trend is all over Pinterest and the blogosphere. Hats, scarves, mittens, belts and purses can go in a hanging basket so they’ll be visible and within reach. Organize clothes either by color or category. For example, put all button-down shirts with each other or all red shirts together. Your closet will look better and picking out an outfit won’t be as much of a nightmare. Assign different color hangers to different seasons of clothes. Move seasonal clothes out of the way into baskets at the top of your closet. So there you go. Now you can get more room out of your house, stay super organized and make it look pretty. Whether you’ve got five minutes or a whole weekend, there’s no better time to get your life (finally) in order!